These are unusual, enlarged veins in the lower part of one's esophagus- the tube that connects the mouth and stomach. 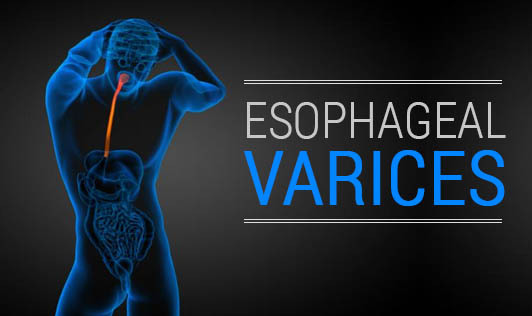 Esophageal varices commonly occur in people with serious liver diseases and develop when normal blood flow to the liver is blocked by scar tissue in the liver or a clot. Finding a way around the blockages, the blood flows into smaller blood vessels that are not intended to carry large volumes of blood. These vessels may leak blood or even rupture, causing life-threatening conditions. Treating the causes of liver disease may prevent bleeding. Preventive treatment for varices includes medications and sometimes liver transplantation is considered for some patients. Contact your doctor if you notice any signs or symptoms that worry you. Bleeding esophageal varices are an emergency!